The Kingdom of Bunyoro-Kitara is the remainder of a once powerful empire of Kitara. At the heght of its glory, the empire included present day Masindi, Hoima, Kibaale, Kabarole and Kasese districts; also parts of present day Western Kenya, Northern Tanzania and Eastern Congo. That Bunyoro-Kitara is only a skeleton of what it used to be is an absolute truth to which History can testify. With the capture of Kabalega, the Banyoro were left in a weakened military, social and economic state, from which they have never fully recovered. Colonial persecution of the Banyoro did not stop at Kabalega's ignominious capture and exile. Acts of systematic genocide continued to be carried out against the Banyoro, by the colonialists and other foreign invaders. Soon the social media in Uganda was full of talk about ‘Iguru congratulating his cousin’. The theory that the first president of Kenya was the son of the Omukama Kabalega o f Bunyoro-Kitara stems largely from the remarkable resemblance between Kabalega and Jomo Kenyatta. Kabalega and Mwanga, the deposed Kabaka of Buganda, were eventually captured in the plains of Lango in 1899 by a combined force of British, Baganda and Nubian troops. Kabalega was shot in the right arm which had to be amputated. They were then marched into exile. On their way to the Seychelles through Kismayu, Kabalega’s wound became severely septic. 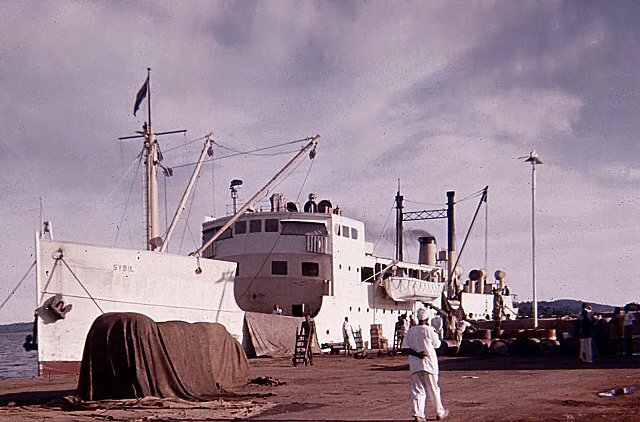 His journey was halted and he stayed in Kenya at a place called 'Kikuyu' for two years to undergo treatment, according to colonial records. These pictures have a peculiar interest at this moment, in view of the keen discussion which is taking place in Parliament with reference to this part of the world. They are of added attractiveness from a Service standpoint, because they illustrate a region in which British troops, and, more particularly, young British officers, have been doing excellent work, displaying in circumstances often of great difficulty and danger a combined tact and gallantry which has elicited warm and outspoken admiration in the highest quarters. The time is probably not far distant when India will cease to provide the main military safeguards for our British East Africa and Uganda Protectorates, although no doubt a certain number of Sikhs will remain as a stiffening for the new local regiments which are in contemplation. There is said to be excellent material available on the spot for the formation of as many local battalions as may be required; and our military Service has already such a good name that it is confidently hoped that some of these troops may be enlisted for service, if necessary, in other tropical countries. The Juba river, of which we give one particularly characteristic picture (that of the maize-boats from Gosha), runs into the Indian Ocean at a point about half a degree south, of the Equator, the town at the mouth being Kisimayu. The sources of this great stream are as yet unknown, unless Major Macdonald has succeeded in discovering them, as he hoped to do. The river has a political as well as a geographical significance, since it is to form the line of demarcation between our British East Africa Protectorate and the Italian sphere of influence in Southern Somaliland. Turning to our illustrations, the picture of the maize-boats gives an excellent idea of the native craft employed on the great East African rivers. Whet her it would be possible to navigate the prehistoric-looking vessel in the foreground through the famous Shabluka cataract on the Nile seems a little doubtful, but on the slow stream of the Juba it appears to fulfil all requirements, being buoyant, roomy, and of distinctly economical construction. 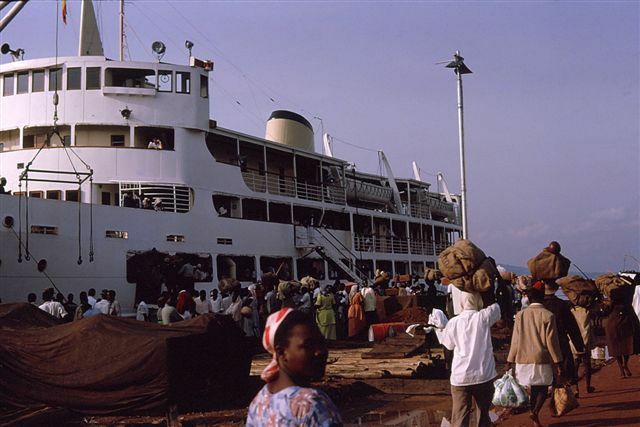 The boats are coming from Gosha, which is about twenty miles up the Juba. It is inhabited principally by escaped slaves, who are engaged in agriculture. They are a poor-spirited race, and give us no trouble. In our second picture we see the same boats on the point of returning to Gosha, this time laden with troops and rations for Youth. In the picture of the officers’ mess, 1st Baluch Light Infantry, at Ndi Camp, the scene changes to a region a good deal further south. Ndi is a station on the Uganda Railway. 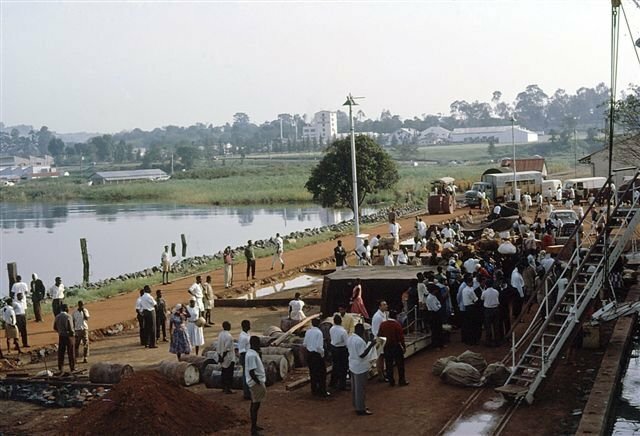 History of the Lado Enclave, region in central Africa, bordering on Lake Albert and situated on the west bank of the Upper Nile, that was administered by the Congo Free State in 1894–1909 and was incorporated thereafter into the Anglo-Egyptian Sudan. West-Nile region is located in the upper north-western part of Uganda. The region stretches from the northern shores of Lake Albert till the South-Sudanese border. 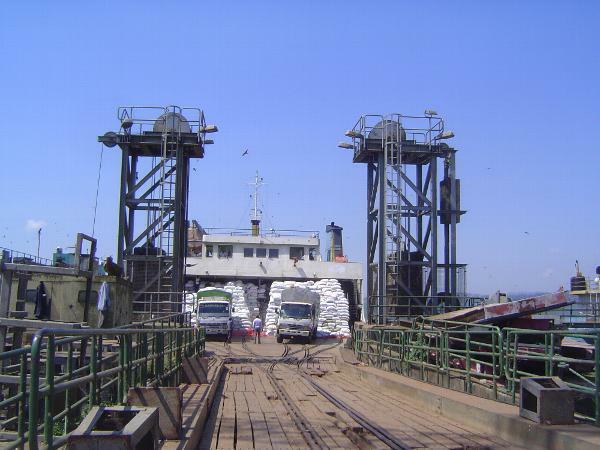 It lies between the White Nile river and The Eastern Ituri border of the DRC and is geographically more related to north-eastern DRC than Northern Uganda. West-Nile was invaded firstly by Arab slave traders from Turco-Egyptian Sudan before it was taken over by western imperial armies. West-Nile region was originally part of the ‘’Lado Enclave’’, named after the town Lado, a river port in South-Sudan within the former Congo Free State. 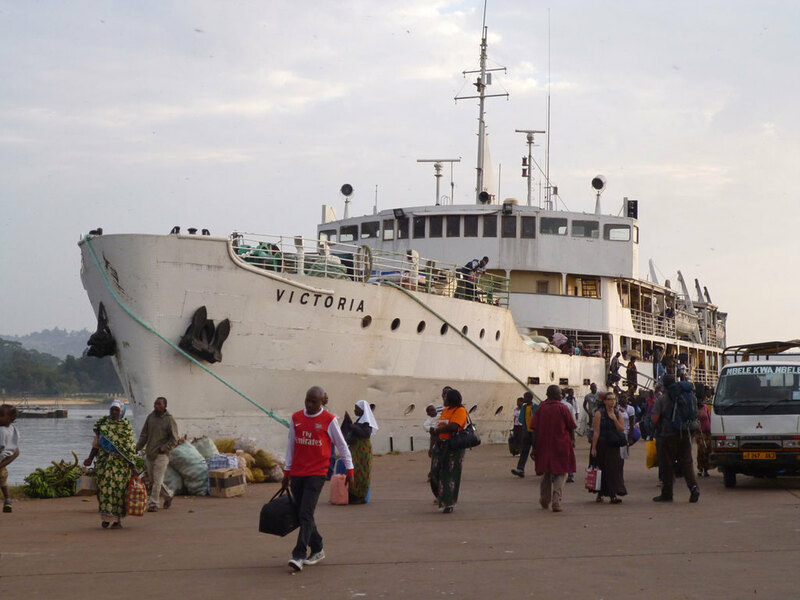 Uganda experienced two great waves of migration. The first brought the Bantu-speaking peoples from further west in Africa, and the second, the Nilotic people from Sudan and Ethiopia. At the start of 1902 the Uganda Protectorate was considerably larger than the state of Uganda is today, as the map of subsequent boundary changes illustrates. Kabaka is the title of the king of the Kingdom of Buganda. :142-143 According to the traditions of the Baganda they are ruled by two kings, one spiritual and the other material. The genesis of the Ugandan post- independence conflicts- Milton Obote draws first blood by declaring himself president. Uganda in crisis Prime Minister Milton Obote declares himself Executive President and suspends the Constitution. With a centralized kabaka (king) the Buganda kingdom was more stable. Kabaka Tebandeke (c. 1644-74) increased his royal power by reforming the exploitation of the religious rituals. So as not to be dependent on Bunyoro for iron and smiths, Mawanda (c. 1674-1704) expanded Buganda territory into Singo, eastern Kyaggwe, and Bulamogi. His officials became more influential than the local chiefs. After 1700 Buganda avoided succession struggles by letting two senior officials choose the new kabaka. Junja annexed Buddu and got Kooki to pay tribute. Kabaka Kamanya took Buwekula from Bunyoro and developed a trade route to the coast. While the explorer Henry Morton Stanley was encircling Lake Victoria, in 1875 he learned that Buganda’s Kabaka Mutesa was interested in Christianity. Stanley sent a letter about this to the London Daily Telegraph. In early 1876 an anonymous offer of £5,000 was made to the Christian Missionary Society (CMS) to establish a mission on Lake Victoria. They sent eight missionaries, but most of them died on the way. In 1877 Robert Arthington offered the London Missionary Society £5,000 to buy a steamer for Lake Tanganyika, and the first expedition reached Ujiji that year. In 1878 the French sent Catholic missionaries called the White Fathers, who competed against the English Protestants. The British formally declared the Uganda Protectorate in June 1894, and the East Africa Protectorate was proclaimed in July 1895. George Wilson was put in charge and formed a native baraza (council). In Busoga the British official, Grant, replaced the dominion claimed by the Ganda. When a Soga ruler refused to accept his authority, the Sudanese and Swahili troops replaced him with his brother. Commissioner Ernest Berkeley (1895-99) arrived on December 12 and got the Kabaka and chiefs to accept the Uganda-Usoga Agreement by which the Ganda renounced their claims in Busoga, which was incorporated into the Protectorate. The Christian Missionary Society began starting bush schools in 1895. After 1900 they had three or four boarding schools to educate the African elite. Bishop Tucker ordained six Ganda deacons in 1893 and three priests by 1896. By 1914 the Anglican diocese had 33 African priests. 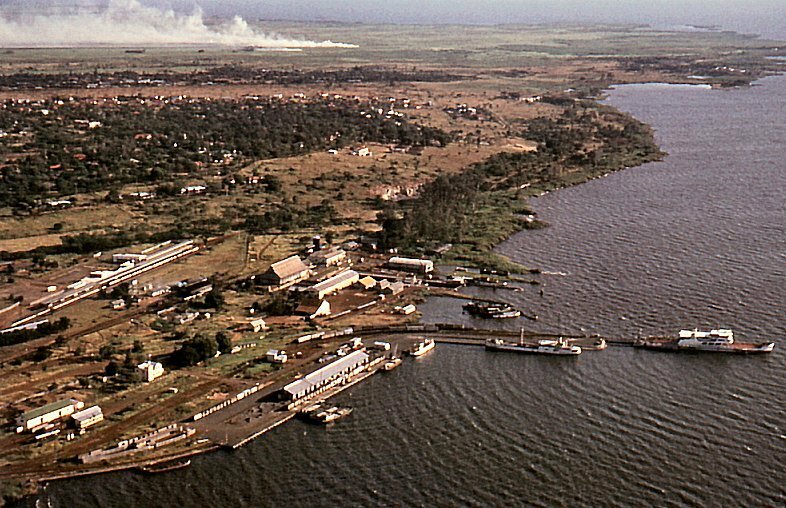 Mengo, the capital of King Mwanga in Uganda, is now difficult of access from the sea-coast; but if ever the pro­posed railway to Lake Victoria Nyanza could be constructed, and steam-boats placed on that lake, it would be reached in a week from Mombasa, instead of two or three months. Our view of the native city, with the “ King’s Houses ” or palace buildings, is taken from Rubaga, the neighbouring site of the former capital in the reign of King Mtesa, father of Mwanga ; and so is the view of the English official resident’s fort, Kampala. The native towns are, however large and populous, mere villages of big circular huts, constructed of grass on a framework of poles; the superior mansions are enclosed by high stockades; but the streets are wide and straight, and are kept quite clean, and two views also of Mengo, the capital city of Uganda, and Kampala, the fortified station of the British Company there, which was occupied by Captain Lugard and Captain Williams as the Company’s officers. Although it is commonly rumoured that Churchill described Uganda “the Pearl” in his 1908 book. Lugard quotes “Pearl of Africa” for Henry Morton Stanley- Fredrick John C. Lugard writes “Stanley was even louder in his praises of Uganda than Speke had been., and described it as the “Pearl of Africa” (1893:3). A wonderful site to go on to: History in Progress Uganda..
1901 map of Uganda, on the eastern shore of Lake Victoria. 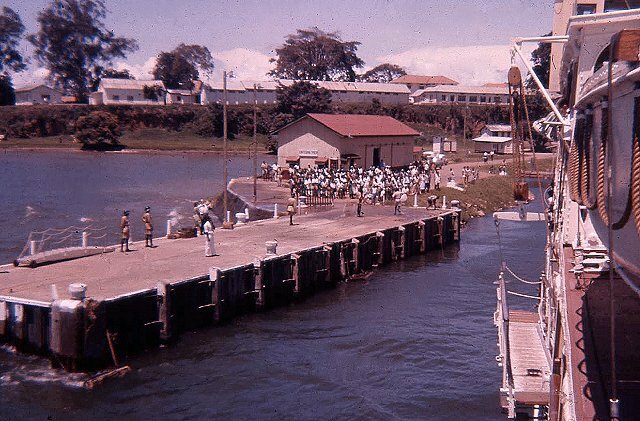 Uganda Railways was named after the Kingdom of Buganda (then called "Uganda" in Swahili). By 1901, territories e.g WestNile and Acholi region, had not yet become part of Uganda, or included in the Uganda protectorate. The “Turks” who settled in East Africa were the decedents of the Turkish Sultan Khalif Murad III’s commander Abdulla Bin Jalaal. In 1574 Abdulla and his legendary band of Turks, including Sayid Shah Murad Bukhari, ruler of Bukhara Uzbekistan) and his two Turkish commanders, Toghan bin Jalaal and his brother Abdulla bin Jalaal, travelled through Greater Khurasan straddling through Indus Valley via Sind where Toghan settled. Abdulla settled in Dhrub, Kutch, and Shah Bukhari settled in Mundra (2 km from Dhrub; he’s buried there). It was the reign of Khengarji Rao the First of Kutch (1510-1586). Khengarji bestowed upon Abdulla and later his descendents the honour of being the “Water Police” of Kutch to protect its shores. Zanzibar and then joined Sewa Haji Paroo’s company under the supervision of Allidina Visram, who was the assistant manager in that firm. Seth Allidina found the young Tamachi to be honest and hard working and proposed to him to be his agent in Jinja. Tamachi joined Alidina Visram’s caravan going to Uganda. There were no roads, the journey through jungles full of wild animals and waterborne diseases. Haji Tamachi established Seth’s “duka” in a mud hut on the shores of Lake Victoria across from the present-day Jinja. He and his workers would take their goods on canoes to sell in Jinja and return with produce collected there. Within the year he moved into Jinja itself and set up a “Merikani” cloth tent located on a small hill, present-day site of Barclays Bank. He was the very first Indian to settle in Jinja. His early contributions are reflected in the testimonial of the Assistant Collector dated April 18th 1903. “Tomasi Sulemani” was his common name all over Uganda. charge of the district’s land, but he declined. He is buried in Dhrub, Kutch. However, his three sons, five daughters and all his grandchildren made Uganda their home until 1972 when the Asian were expelled from Uganda. Now the new generations have made their homes in Canada, UK and USA. bullock carts to take the mail to the coast. Vithaldas Haridas Madhvani had consulted him on the suitability of the land around Jinja for sugar-cane farming. Ahmed too returned to his native Dhrub and is buried there. However his son Salehmohamed, daughter-in-law Sherbanu and their three children made Uganda their home until Asian exodus of 1972. Like other Asians, they lost all their properties in Jinja.The fortunes made by our ancestors were all lost. The new generation have made their home in Canada and UK. During trips to India he brought his brother-in-law Mohamed Rahemtulla and many other Turks to Uganda. He had close relationships with notable personalities of his time in Uganda like Vithaldas Haridas and Muljibhai Madhvani, Nanji Kalidas Mehta, Mohamed Manek, Bhanji Moman, and HK Jaffer. Soon after his arrival in Jinja, Nanji Kalidas Mehta had worked for Haji Tamachi as an accountant for a short time. Even Muljibhai Madhvani worked with Haji Tamachi at one of his shops in Jinja. Haji Tamachi employed a special cook to cater vegetarian food for all his Hindu employees. Up to fifty people dined together with Haji Tamachi at every meal time. Every new Asian newcomer to Jinja was a welcome guest of the family. grandchildren were born in Uganda. The new generation were born in Canada, UK, USA, Kenya, Tanzania, India, and Pakistan. Tamachi built the first double story building in Jinja with business premises located at ground level and residence upstairs. This house was great surprise for locals as they used to see people going into home, disappear and reappear again upstairs. For quiet long time locals used to come and see this “magical house” from remote places. went on financing the post office for a long time until the post office was profitable. During the inauguration of the new Post Office building, Haji Tamachi was invited as an honoured guest and the Governor in his speech acknowledged his role in establishing the first post office in Jinja. community disputes. During his trips to India, Haji Tamachi anonymously contributed funds to build a Masjid, a jamatkhana and a school in Dhrub. Tamachi family for freeing their grandfather from slavery. became good friends.Chief had once led an uprising against the British. He turned to Haji Tamachi to resolve the dispute and as a result in 1908 Kakungulu was appointed as the head of the Busoga Lukiiko. Haji Tamachi had bought a sugar plantation called “Mwangada” for the manufacture of molasses (sukari guru) near the village of Bamugaya near Jinja. One day he found a lion’s cub abandoned near the farm. Haji Tamachi brought it home and raised it as a pet. As a grownup it kept other wild animals at bay but grandma Mariam, fearing for the safety of her family, asked Haji Tamachi to give it away.Indecently, one day the Tamachis’ were on a boat going to Jinja from Entebbe, they were joined by the Governor and his wife Lady Jackson who had just come from England. Being new to Uganda, Lady Jackson was very scared seeing so many animals: lions, buffalos, crocodiles, and hippos. Grandma Mariam consoled her, embraced her, and assured her that nothing would go wrong. After this incident, they became good friends.It was because of this friendship that Haji Tamachi donated the lion to Lady Jackson’s Field Force Fund (see attached letter, 1916). In fact, the Lion was shipped to Europe and presented to the Red Cross for display to curious Europeans - the travelling show raised an enormous amount of money for the Red Cross.Because of the friendship, the first automobile that was owned by Governor was sold to Haji Tamachi, the first Asian to own a car in Jinja. The Governor had planned the inauguration ceremony of Jinja Railway Station to be performed by Haji Tamachi, but Haji Tamachi purposely came late as he did not want to be the centre of attention. The Governor did the ceremony. In honour and memory of Haji Tamachi’s achievements and services to the British Government, local municipality and communities, his son Haji Osman Haji Tamachi was invited to be present among the dignitaries at this historic event. For his contributions, the Municipal Council of Jinja named a road “Haji Tamachi Place” in Magwa, Jinja,in his honour. This story was originally researched and written by Marhoom Turk Haji Hassan Haji Mohamed Khanani, It was recompiled by Abdul Hamid, Abdul Karim, Abdul Ghani and Akbar Khanani,Copies of documents were provided by Abdul Latif Tamachi. It was rewritten for this book by Mumtaz and Begmohamed Tamachi. Kindly provided by Mr M Latif Beghani of US, thanking Beghani and family, much appreciated..
History of the Uganda Protectorate. J. H. Speke and J. A. Grant, in the course of their successful journey in search of the Source of the Nile, were the first Europeans to enter the territories that now comprise the Uganda Protectorate. In 1862, the explorers, as they made their way northwards, came upon the capital of Mutesa, ruler of the Baganda, which lay not far from the present town of Kampala; and to their astonishment they found themselves among an organised and semi-civilised people. After a stay of six months at Mutesa’s court, they continued on their journey to the north, and, at the Ripon Falls, solved the age-old problem of the Source of the Nile. Later, at Gondokoro on the Upper Nile, they met Samuel Baker and his wife, who had set out to work their way up the Nile to its source. A few months later (1864), the Bakers discovered Lake Albert. In 1872, Sir Samuel Baker, then Governor-General of the Egyptian Sudan, arrived at the head of an expedition for the suppression of slave trading along the banks of the Upper Nile. He annexed the Nile District (Bunyoro) to the Sudan, and thenceforward, until 1889, under Baker, General Gordon and Emin Pasha, this area remained under the Egyptian flag. H. M. Stanley arrived in Buganda in 1875, during his circumnavigation of Lake Victoria. Much impressed by what he saw, Stanley appealed, in his famous letter to the Daily Telegraph, to Christian England to send missionaries to Mutesa’s court. This letter was carried by tie Bellefonds, a Belgian, who was murdered near Gondokoro, on the Nile, and was subsequently recovered from his body. Events have proved that this was the first step towards bringing Buganda and the neighbouring territories under British protection. The Church Missionary Society responded to the appeal by sending out their first missionaries in 1877. These were followed by French Roman Catholics in 1879. Christianity made rapid progress; but owing to the zeal of the Arab traders, who were arriving in increasing numbers, there was also a considerable growth of Islam. Mutesa died in 1884, and was succeeded by his son, Mwanga, who soon reversed his father’s tolerant attitude towards the missions. In 1885, Bishop Hannington, of the Church Missionary Society, was murdered while passing through Busoga; and, in 1886, Mwanga carried out a systematic persecution of Christians, and massacred some of the missionaries’ adherents. He was also hostile towards the Muslims, with the result that, in 1888, they joined with the Christians in deposing him, and replacing him with his son Kiwewa. The Arab traders and native Muslims then gained the upper hand, and drove out the missionaries and their converts. Mwanga’s restoration. This was accomplished, after some fighting with the Muslims, in October, 1889. In that year, control of the British sphere in East Africa was assigned by Royal Charter to the Imperial British East Africa Company. Towards the end of 1889, the B.E.A. Company sent Mr. (later Sir) Frederick Jackson in charge of an expedition to Lake Victoria, with instructions not to enter Uganda. Jackson sent one of the Company’s flags to Mwanga, telling him that, by accepting it, he would place himself under the Company’s protection and be given help. To this Mwanga agreed. Dr. Carl Peters, a German, on learning this, drew up a treaty placing Buganda under German protection, which he persuaded Mwanga to sign. Meantime negotiations had been proceeding between the British and German Governments, and under the Agreement of July, 1890, the inclusion within the British sphere of the present-day Kenya and Uganda were confirmed. Captain (later Lord) Lugard was then sent to Uganda to consolidate the Company’s position there, and quickly concluded a treaty with Mwanga, who had by then been restored to power. Trouble with the Muslims followed. Lugard accordingly proceeded in 1891 to the western limit of the British sphere, where he found at the south end of Lake Albert a remnant of the Sudanese force that had served with Emin Pasha. These he enlisted, and brought into Buganda as a strong force for the preservation of order. In January, 1892, soon after Lugard’s return to Kampala, fighting broke out between the Protestant and Roman Catholic factions. The latter were defeated and fled, taking Mwanga with them. The following month peace was concluded, and Mwanga again restored. Meanwhile the Imperial British East Africa Company was finding that it could not continue to bear the crippling costs of occupying Uganda, and gave notice of its intention to evacuate the territory. The British Government therefore sent out Sir Gerald Portal as Imperial Commissioner to advise on its future administration, and on 1 April, 1893, he assumed, on their behalf, the responsibilities of the Company in Buganda. The Union Jack then replaced the Company’s flag at the fort on Old Kampala Hill. The formal proclamation of the Protectorate over Mwanga’s kingdom was not made until 18 June, 1894; and in 1896 it was extended to cover most of the other regions that now make up the Uganda Protectorate. In July, 1897, Mwanga, after plotting further trouble, fled for the third and last time, being eventually deported to the Seychelles, where he died in 1903. He was succeeded by his infant son, Daudi Chwa, father of the present Kabaka (ruler) of Buganda. Soon after the flight of Mwanga, a serious mutiny, endangering the safety of the whole Protectorate, broke out among the Sudanese troops. They occupied Luba’s fort in Busoga, and murdered Captain Thruston their commander. Indian troops were hastily brought into Uganda but the position was not restored until February, 1898. In 1903, the superintendence of the affairs of the Protectorate was transferred from the Foreign to the Colonial Office. The Railway from the Coast at Mombasa was surveyed in 1892, and work commenced in 1896. 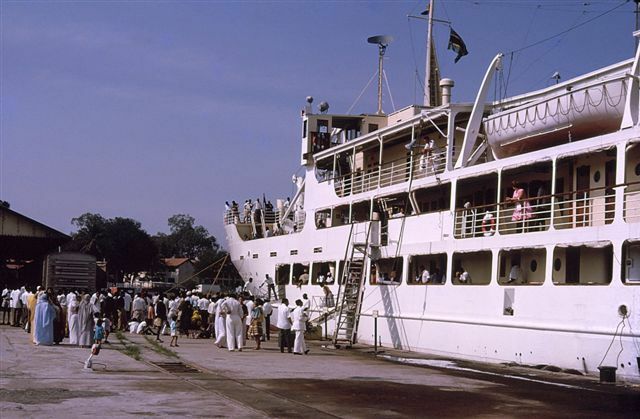 Lake Victoria (Kisumu, 577 m.) was reached by Christmas, 1901. Parliament had voted £3,000,000 to cover the cost, but the actual expenditure proved to be nearly double this original estimate. 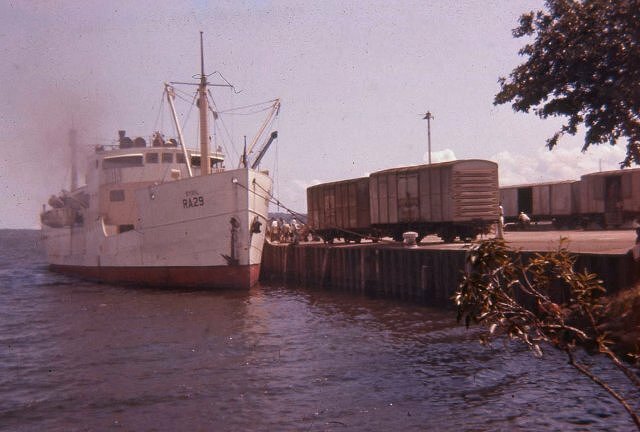 The line was extended to Kampala in 1931, and a further 208 m. westwards to Kasese, in the foothills of the Ruwenzori Mountains, in 1956. On 30 Nov. 1953, the Kabaka of Buganda was deposed for opposing the policy of H.M. Government. April, 1954. Visit of H.M. the Queen and Duke of Edinburgh to Uganda. Owen Falls Dam opened by the Queen. September, 1955. The new Bunyoro Agreement was signed at Hoima by Sir Andrew Cohen, Governor of Uganda, and Sir Tito Winyi, Omukama of Bunyoro. October, 1955. The new Buganda Agreement, replacing the Agree­ment of 1900, came into force, and the Kabaka returned to Buganda as a constitutional monarch. On 27 June, 1962, as no agreement could be reached in the dispute between the kingdoms of Buganda and Bunyoro, a solution was imposed by the British Government. The dispute concerns six “ Lost Counties,” formerly belonging to Bunyoro and transferred to Buganda in 1895. The Bunyoro claim to four counties will lapse; two others will remain Buganda territory but will be administered separately under direct control of the Uganda Central Government. Not less than two years hence a referendum will be held in the two counties to determine whether they should remain under Buganda rule, be transferred to Bunyoro rule or remain permanently under Central Government control. Independence is expected on 9 October, 1962. 1952. Sir A. B. Cohen, K.C.M.G., K.C.V.O., O.B.E. 1957. Sir Frederick Crawford, K.C.M.G., O.B.E. The history of Uganda comprises the history of the territorial lands of present-day Uganda in East Africa and the peoples inhabiting the region. Below in 2013, Joan Shoucair, left in the picture, shared refreshments in the English Cotswolds with two American friends, Barbara Holliman and Russell Hoover of Pennsylvania. While visiting Joan told us of an amazing visit to Uganda in her childhood by the Prince of Wales, the future Edward VIII of the United Kingdom. Other useful informative links on Ugandan Railways…..